This is no ordinary dictionary. 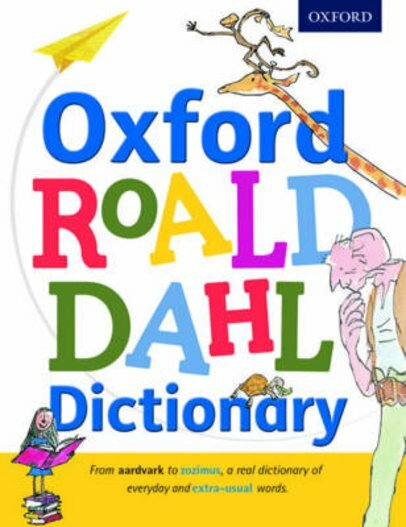 But hey: you wouldn’t expect a Roald Dahl dictionary to be ordinary, would you? If it was, you’d return it to the shop! Lots of dictionaries tell you what an alligator is, or how to spell balloon. But they won’t explain the difference between a ringbeller and a trogglehumper, or say why witches need gruntles’ eggs, or suggest a word for the shape of a Vermicious Knid! This dictionary does. All the words that Roald Dahl invented are here, like ‘biffsquiggled’ and ‘whizzpopping’. Plus, it’s got quotes from all your favourite Dahl books. And like every Roald Dahl classic, it’s illustrated (in full colour) by the magnificent Quentin Blake. Scrumdiddlyumptious!